The countdown to the first day of school has begun... Ashley at Lattes, Lesson Plans, and IEPs organized a back to school link up with a countdown of lists for the year. I'm a little late to the party, but I wanted to post my countdown because it's such a great idea! I visited my classroom yesterday and began the first few steps of my classroom makeover. I think it's going to take longer than I anticipated. This year I get to move out of a closet and into a much bigger room. I am the first SLP in 5 years to stay more than one school year due to various reasons. When my principal asked me to be honest about the position and what I needed, I told her space. Sometimes as we are in a service profession, we find ways to "make do" with what we have, but I have learned it is always important to advocate, even if you are new to a position. Stay tuned for a post about my classroom make-over! I send out a monthly e-newsletter to parents and some faculty. This monthly newsletter includes information about my 3:1 indirect service delivery weeks, upcoming school events, articulation practice and general information all parents need know. Wishes are almost like goals, as they can be attained. Because no SLP has stayed more than a year, some parents were understandably hesitant to build a solid relationship. When it was confirmed that I would be returning, many of the parents seemed pleased (I hope I can live up to their expectations). Because my sessions are scheduled back-to-back, taking time to retrieve each student can put me off schedule or cause students to lose a couple minutes of their time with me. For many of my students, a school wide PBIS ticket can do the trick, or even a sticker. I'm going to try using a timer and making my students responsible to turn on the timer for each session - we'll see how it goes. Sunshine coming through my windows should help me keep this promise, but it's always important to smile. Smiling releases endorphins which actually can change your mood. Thanks for reading my back to school countdown! It'll be here before we know it. 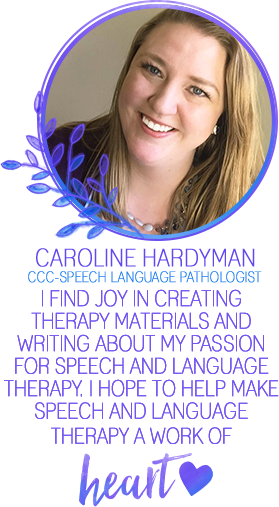 No matter where you work, collecting data is a big part of the work of an SLP. In my 2 years of working in the public schools, I have changed my data collection method 3 times before I found something I can actually stick with and not utterly despise. I have tried individual folders with goal sheets for kiddos - these were great in theory, but not so great when I had a group of 3 students all around a very tiny table; there was no room for folders. My next attempt was Google Docs. I LOVED this method for articulation because it showed a great progress graph, however, again within a group setting, this method was not always achievable. I found that if I switched forms on my iPad, the other form would delete what I added. Method number 3 was the winner: Labels! The idea of using labels for daily logs came from Pamela over at Public School SLP. You can find the data labels she created HERE. At first I thought that purchasing labels would be super expensive. But, Amazon sells a generic brand set of 1,000 labels for around $10 and they work just fine with my laser printer. The best thing about labels for me was that at the end of the work day, sticking them onto the pages in my binder was a very mindless task that allowed me to unwind a little before facing traffic. Even though I write the date on each label, I like to keep a separate page for attendance. I have 1 page for each month. I can track attendance on the computer or print off a sheet for each month. This allows me to see at a glance when students missed sessions, if they have been absent frequently, or if there are any scheduling problems. 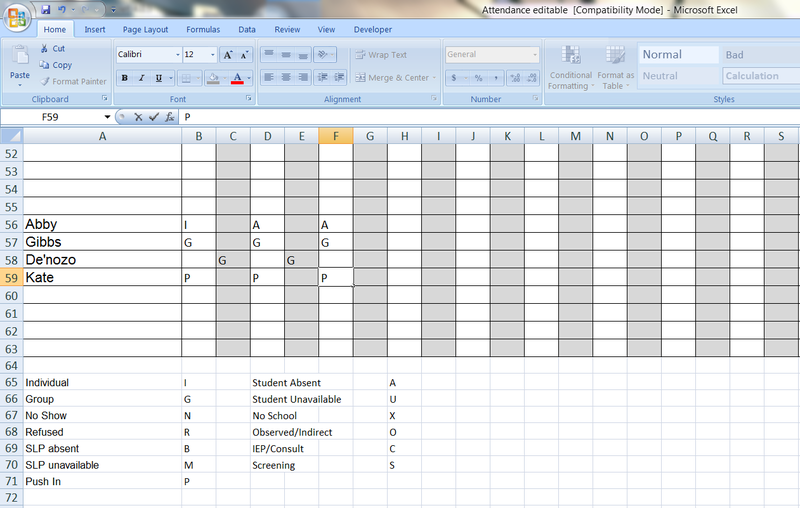 I created a form in Microsoft Excel to help me easily track the attendance of each student. Each month has Monday through Friday with the date included. 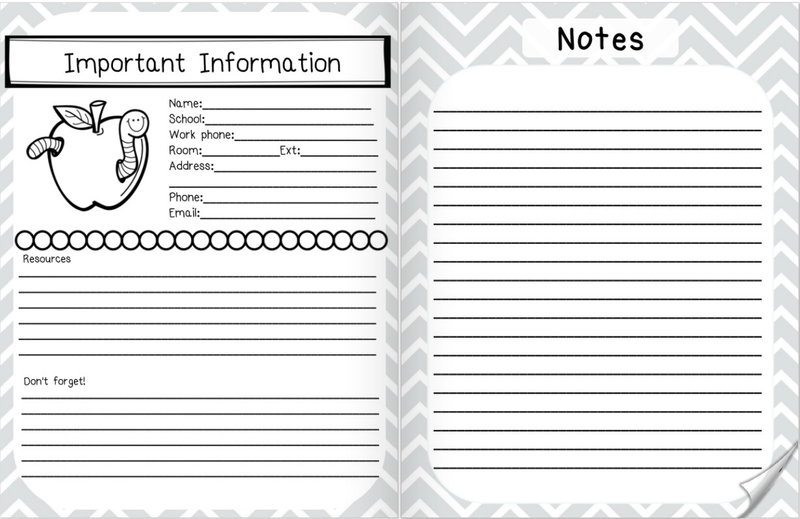 I mark student attendance after I print out the page and can easily see if they were seen one-on-one, in a group, or any other circumstances. I use a one letter key to mark the services students receive each month. Having the document in Excel also allows me to edit the student list. I like to list them in grade order. I have found that this helps me document attendance very quickly and easily and can make 3rd party billing much simpler. 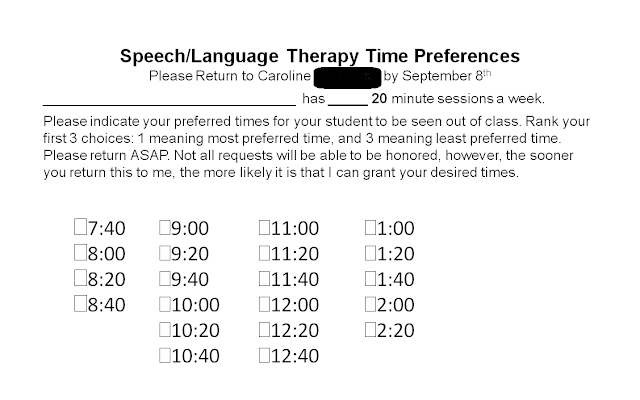 Apparently our district is going to start using codes to document therapy this year, so I hope that this attendance method helps me to more easily completed 3rd party billing - time will tell! 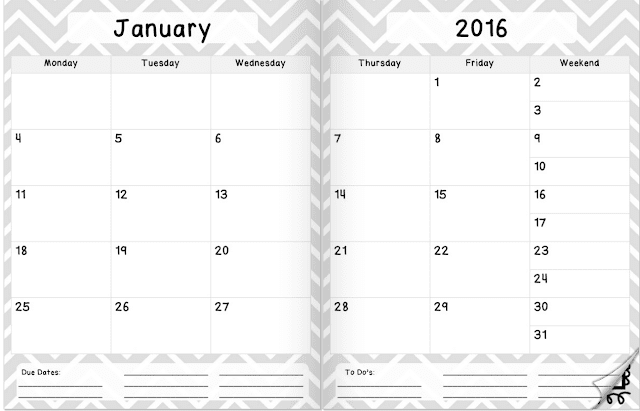 You can find my 2015-2016 attendance calendar in an editable format HERE. 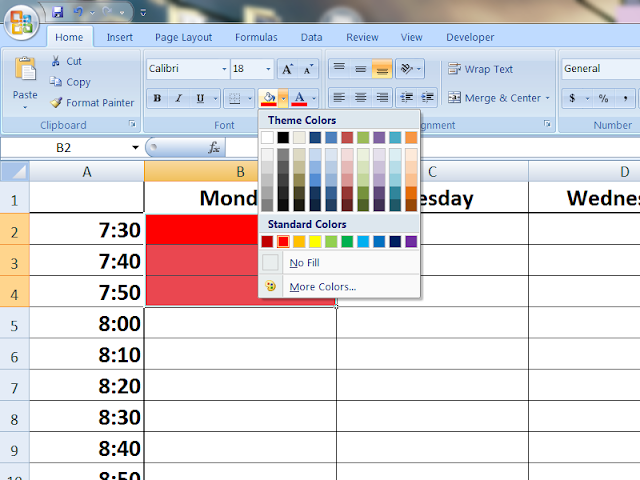 Make sure when you go to print off the sheet that you highlight the area you want and select "print selection." Summer is for relaxing, or so I'm told. I have been on an organization kick. Now that I am staying at the same school, I'm finally able to create a system that works for me. Over the past week, my latest project has been creating my very own planner. While many teachers love specialty planners, I found that the ones I wanted were out of my budget and not completely applicable to speech/language therapy. With all my free time and my clipart collection, I decided to create my own. Ta Da! I managed to create something that I love. Printing it and having it spiral bound at Kinkos cost me under $30. The spiral binding came with a frosted plastic cover and back. So what's inside? First off, I am very proud of the cover and think that I will love it all year round. To make the cover and back sturdier, I splurged for card stock and full color printing on those pages. My favorite part of this planner is a weekly Bible verse from the book of Psalms to help focus the week on what is truly important. Beginning the week off with a reminder of God's love is a great way to start. I created this planner to be as budget-conscious as possible. 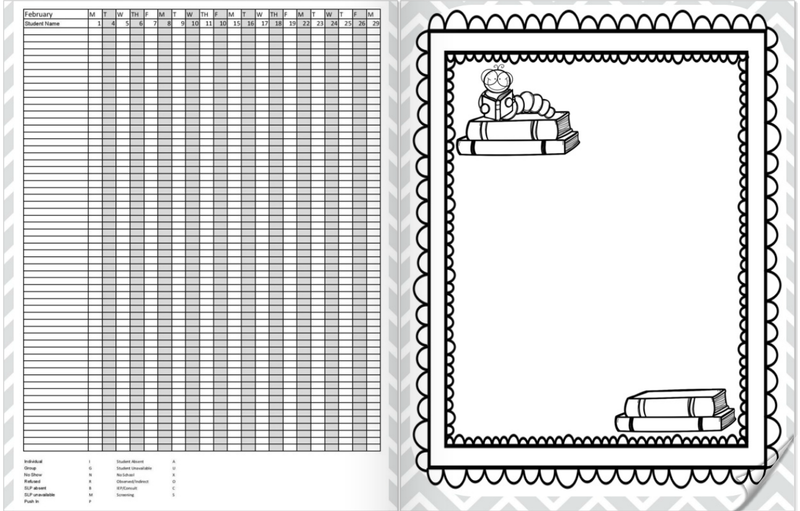 The majority of pages are black/white and gray scale to help you save money when printing. I'm planning to add editable covers when I post this as a product to TPT. Each month has a 2 page spread with spots for writing down report due dates and tasks for the month. Every month has an attendance sheet that I use. 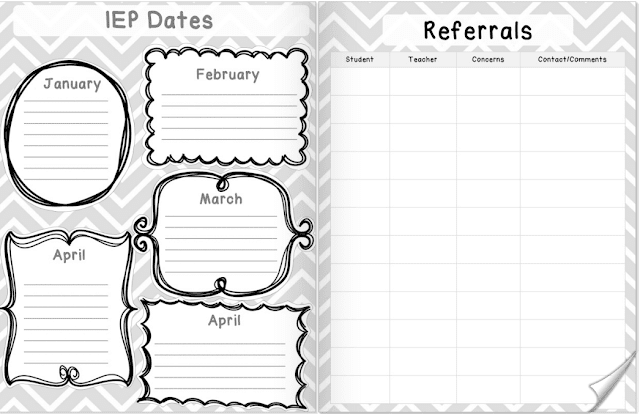 A FREE version of my 2015-2016 editable attendance sheet can be found at my TPT store HERE. 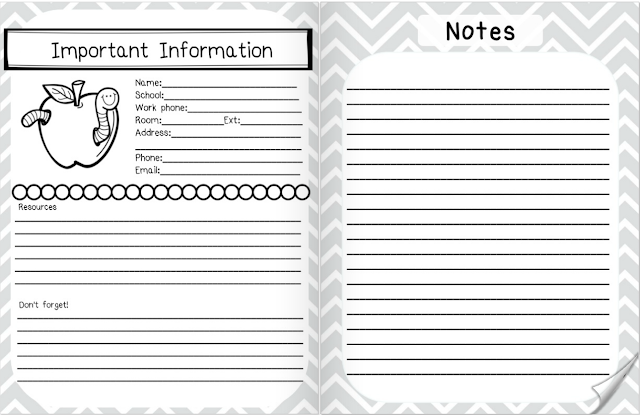 Inside I created 11 fun note pages (example below). I can't wait to add notes or maybe just fill them with doodles. 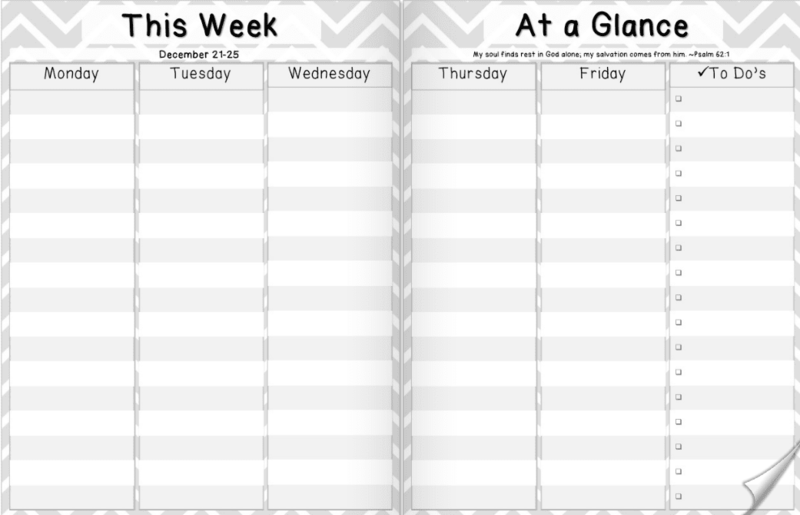 The weekly layout has Plenty of room to lesson plan for each day. Each week has its own 2-page spread, complete with room for planning those back-to-back sessions. There's also a handy dandy checklist for each week so I don't forget anything. I see groups back-to-back and often have to plan for 15 or so sessions a day. Having the bi-color days helps me to differentiate the groups. I also love the to do list for the week on the same page. The Psalm for the week below says, "My soul finds rest in God alone; my salvation comes from him" ~Psalm 62:1. Inside my planner is a section unique for special educators. Finally a place to put all IEP due dates. There are also pages for referrals, screenings, evaluations, and RTI logs. Inside you will find a page to store important information such as passwords, websites, emails, or whatever you want. I'm in the process of laminating binder tabs to make finding the months and important pages a tab (tad) bit easier. Everyone has specific ways they like their information set up, but here is the way that I will be keeping organized this year. 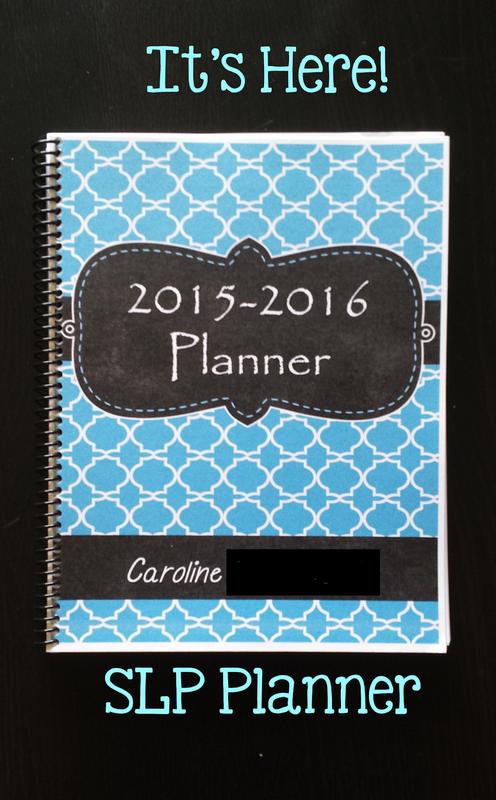 If you love this planner and want your own copy, you can find it HERE at my TPT store. I have also created some stickers to quickly add to the planner. 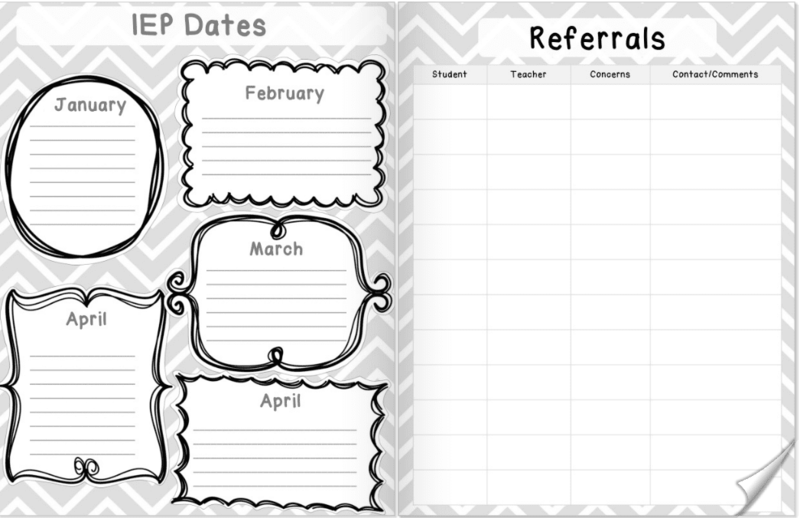 They can be printed on return address labels and are color coded for IEPs, evaluation planning meetings, evaluation results meetings, and conferences. Find them HERE at my TPT store. Maybe if I become motivated, I'll make more stickers. What other stickers would you like to see? Ugh. Scheduling. Have you seen that meme? "Scheduling is the SLP's version of Tetris." How accurate this is. I like to think that I'm pretty good at scheduling my kiddos in the school, but the honest truth is that I'm flexible. My schedule changes frequently due to growing caseload, group changes, or teachers' needs.I usually start with the post-it note method seen on many blogs, but then switch over to an Exel spreadsheet in order to make it easy to send to teachers and to make frequent changes. Plus it's a great way to add color to my day! At the beginning of the year, I like to give teachers a half sheet of paper that lets them mark their prefered times. This takes some of the pressure off of my and puts it onto them. I primarily see kiddos in block of 10, 20, or 30 minute intervals. The schedule I like to use is split into 10 minute increments. 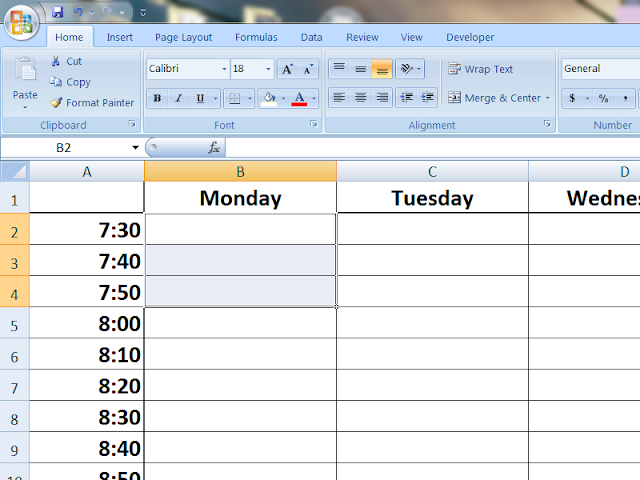 You can find an editable Microsoft excel spreadsheet with 10, 20, or 30 minute increments HERE. Now comes the fun part - personalize! Here's a step-by-step tutorial to make scheduling a little brighter and cleaner. 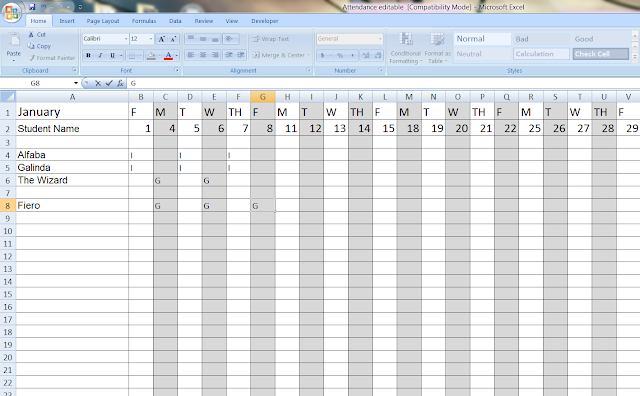 First, select the worksheet you want; you can pick 10, 20, or 30 minute increments. Next, to add a student, select the cell or cells that you need. For example, I see a group of kindergarten students for 30 minutes. 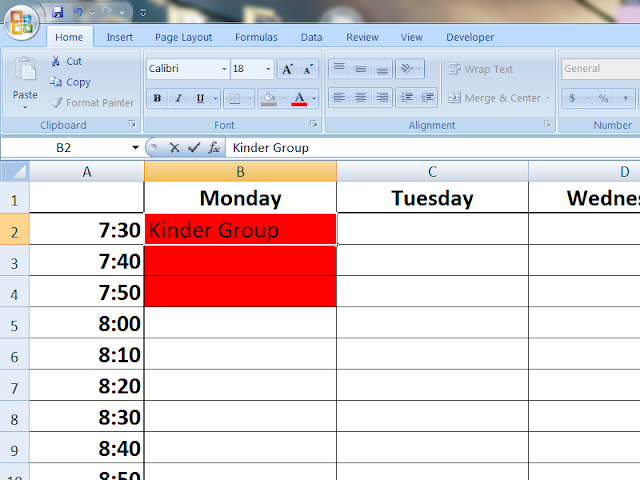 Since I am using the 10 minute schedule sheet, I select 3 cells (7:30-8:30). Now the fun part - adding color! I like to use different colors for each grade level, but you could use different colors for disorder type, how big the group is, or anything you want. For my kindergarten students, I'm going to use red, so I select the fill arrow (the arrow to the right of the paint bucket) and select red. 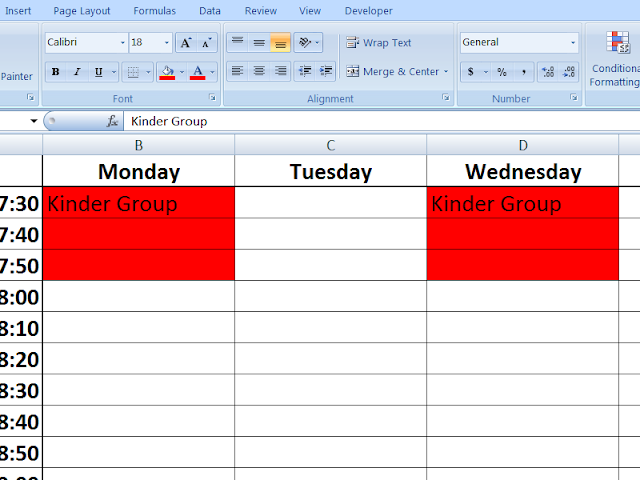 I can then enter the names or the type of group I will be seeing into the top cell. Most sessions are more than once a week, so a simple way to add this to Wednesday is to highlight the 3 red cells and copy (ctrl+c) and paste (ctrl+v). Viola! Now to add in other groups with more colors. If you have a different start time, you can change that on the left side. Now printing from Excel can be tricky. You will need to select all the cells you wish to print. Once in the print menu, make sure you select "Print selection" and "fit to page," otherwise you might have the schedule printed on multiple pages. 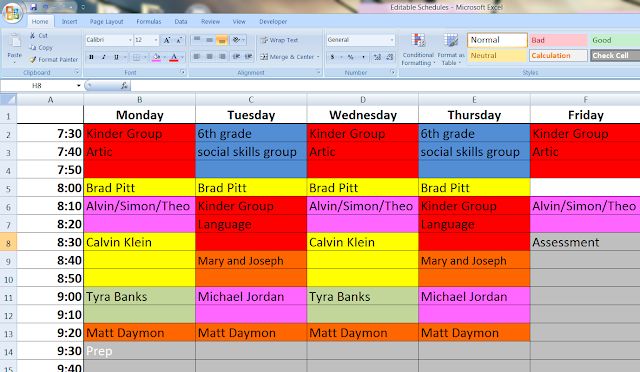 I hope this makes your scheduling easier and more colorful! Starting this blog has been kind of terrifying for me. I love to read blogs and every blogger I read seems to have the most interesting life and I, well quite frankly, my life is pretty boring. I'm an average girl, not super adventurous and somewhat of an introvert with a very introverted husband. Take this last weekend for instance. We could have gone to parades or the fireworks to celebrate the 4th of July, but instead we hung out, made a nice dinner, and didn't leave the apartment for at least 24 hours. Oh, and we played video games. While I am not a video game expert, I like to think that I am at least slightly nerdy in the fact that I have played (and beaten) a few video games. Our most recent adventure is a game called Terraria. At one point, I was really into Minecraft. Are there any school based SLPs who have no idea what Minecraft is? Do you hear your kids talking about it non-stop? I love the audible gasps that I get from students who have just figured out that I've played Minecraft and that I know what a creeper is. While part of me feels that playing video games in my spare time is not adult-like, I enjoy how it helps me build connections with students, especially those students who tend to persist on a particular subject, such as Minecraft. When I can't seem to get a good language sample out of a kiddo, this topic usually yields very good results. Now don't get me wrong, bringing up the fact that I am a dabbling gamer can be dangerous. Sometimes my students won't stop talking about the game or they will try to convince me that we should play the game during our sessions. The cool part is that I know what they're talking about! I can't begin to count the number of times that I've been able to take a conversation with a student who is fully engrossed in their latest achievement in a certain video game and relate it to their goals. For example, in Minecraft, sometimes things don't go the way you want - you run out of materials to build a house, you drop your brand new diamonds into lava, or a creepy monster (called "mobs") starts to attack you. This allows me the perfect chance to bring up flexible thinking. Minecraft is also a great discussion for cause and effect. Because you feed a wild wolf a bone, it loves you and becomes your companion. Now, don't get me wrong. I definitely DO NOT encourage my students to actually try this in real life, but you get my point. I can't tell you how many things I've read on being a great teacher that say you need to hook your students in by their interests. Overall, Minecraft is a pretty good game. While there are swords, you are fighting monsters, which is way better than fighting people in my opinion. I hope to use Minecraft more in the future. Before writing this post, I discovered Pixel Papercraft, a website that has hundreds (if not thousands) of printable and fold-able Minecraft characters, mobs, and blocks. I'm planning to create some of these and use them in play or for role playing activities with students. Never played Minecraft? No worries - there is a free demo version available for tablets. Just give it a shot! Still not convinced? 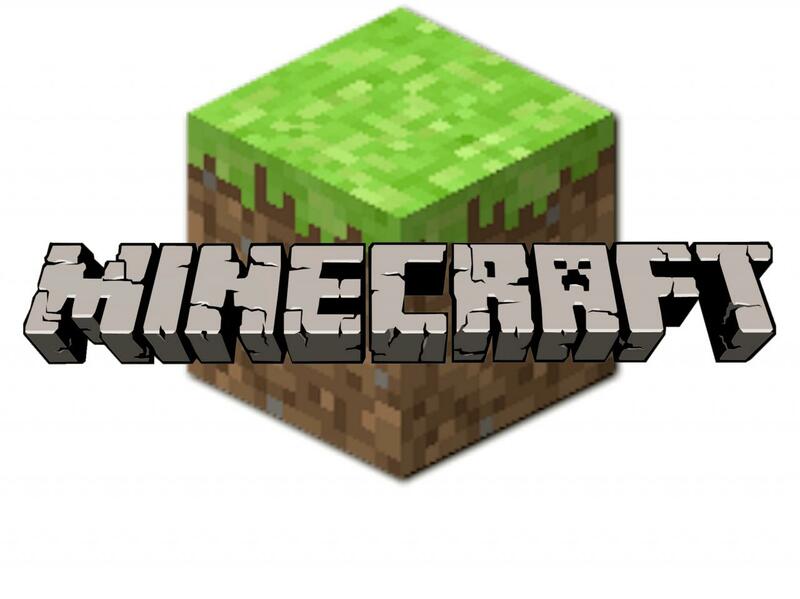 Here are a few things to know so you can understand "Minecraft-ese." Minecraft is a game of surprise! mining and crafting. As you mine, you find bigger and better things, which allow you to craft, or make bigger and better things. There are many "recepies" online of how to build complex traps (hmm... that gave me an idea for following/giving directions). Minecraft is like a giant lego sandbox. Unlike games like Skyrim, Minecraft is a very block based game; everything has corners and a square shape. Mobs - mobs are the monsters and include zombies, spiders, skeletons, creepers, and endermen. Creepers are green and explode if you get too close to them. Endermen are actually pretty creeper. If you look them in the eye, they teleport to you. Animals, such as pigs, sheep, horses, and cats are also considered mobs since they are randomly generated. Below is a picture of the most common hostile mobs. 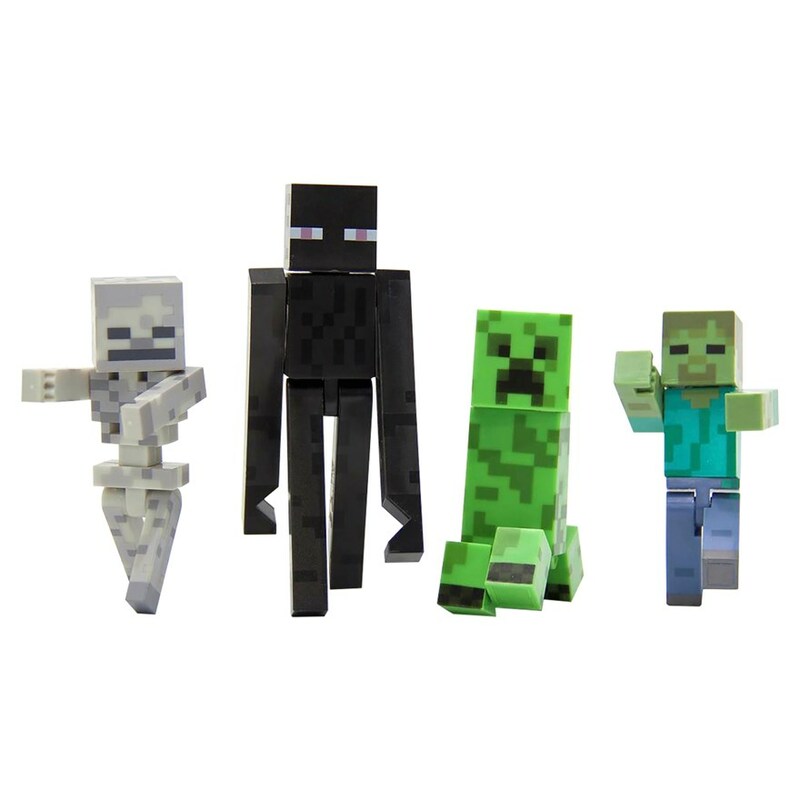 From left to right: skeleton, enderman, creeper, zombie. NPC - an acronym for "non-player character" used in a variety of video games. These are characters that appear within games that are not contolled by humans, but simply programmed to be within the games. Mods - not to be confused with mobs. "Mods" are short for modifications, or extra content you can download to change the look of the world or what can happen in a world. Server - a server is basically a computer, or a special way to set up a computer. It's basically a place where data is stored, on a person's home computer, or someone else's computer. Servers allow people to play together at the same time, like a google doc, only way more fun. Skins - not as creepy as it sounds. Skins are just downloads that allow you to change how your character looks. I ask students to describe what their "skin" looks like. Spawn - when a character spawns, they are entering the world. A spawn point is the precise location where your character will begin the game everytime you start to play that world, or will appear ("re-spawn") after your character dies. And with that, I will leave you with this trailer created by a player and You-tuber that gives a basic preview of what Minecraft looks like and a few of the things you can do within the game.